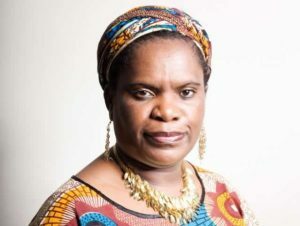 Betty Makoni has been invited to speak on supporting girls at risk. She will present on the effectiveness of the Girl Child Empowerment Model. This consultation seminar is organised by Enabling Education Network (EENET),Foundation for Women’s Health Research and Development (FORWARD), and International Planned Parenthood Federation (IPPF). The event will provide a platform for information sharing, discussion and insights into on-going programmes and interventions to address child marriage. It will benefit policy makers, programme staff, students and researchers working on international development in the areas of human rights, violence against women and girls, and children’s rights. Child marriage is a global problem that impedes the development, wellbeing and life options of affected individuals. UNFPA estimates that, in the next decade, 100 million girls are expected to marry before they are 18 years old. Child marriage is slowly gaining attention on the global development agenda and there is new evidence of promising interventions to end child marriage. However, there is an urgent need to consolidate actions at all levels to safeguard those who are still at high risk. Aims of the consultation seminar. This seminar will enable participants to share information about interventions that respond to child marriage and contribute to the development of a global agenda for action to end child marriage.The event provides an opportunity for international development practitioners, policy makers, researchers, students and organisations to engage on a range of issues, including partnership options, and help with the development of strategies for future action.